A musical re-imagining of Euripides’ violent tragedy into a dance-theater performance and feature film á la Latin-disco-pop variety show. 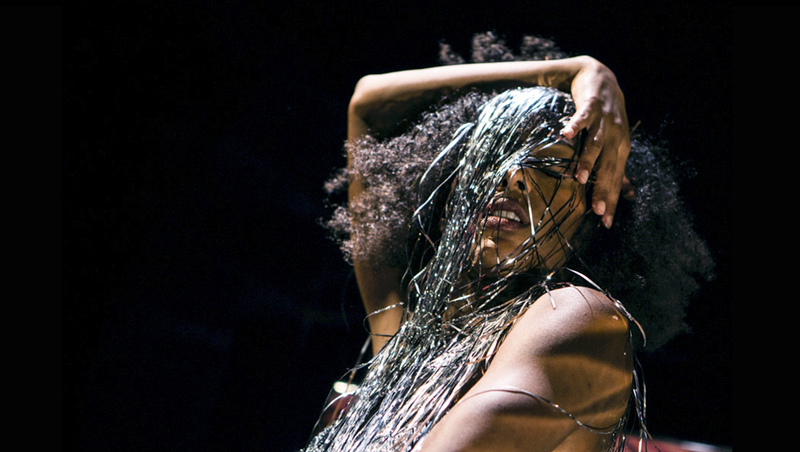 La Medea is a musical re-imagining of Euripides’ violent tragedy into a dance-theater performance and feature film á la Latin-disco-pop variety show. Directed, performed, filmed, edited and streamed in real time, the dark comedy comes to life not only as a live performance in Brooklyn but also as a feature film for audiences watching and interacting remotely around the world. Everyone becomes a performer, subject to the high-stakes immediacy and vulnerability of live TV, bringing theater to cinema and cinema to theater. La Medea centers around the story’s protagonist in a live TV special tell-all. A wild mash-up of genres and storytelling tropes, Travieso seamlessly shifts between dance and music, talk show and telenovela melodrama, scripted on-camera action and unscripted behind-the-scenes plot twists. Embracing the complexity of conflicting cultural lenses, La Medea confronts the hysterical, dangerous, foreign woman, versus the revolutionary figure willing to destroy her own children in the name of justice. Chaos reigns under the skin of a classic myth. Through the music and libretto by composer Sam Crawford and Travieso’s other collaborating team members, like it’s namesake, La Medea is a spectacle that upends any attempt to pin it down. Each performance will be live streamed, presented by DFA, powered by Twitch.tv. Tune into the live stream at lamedea.dancefilms.org.